This listing is for one gemstone stacking rings atop one plain, one rope, OR one twist band, and one personalized message ring in 14k gold. 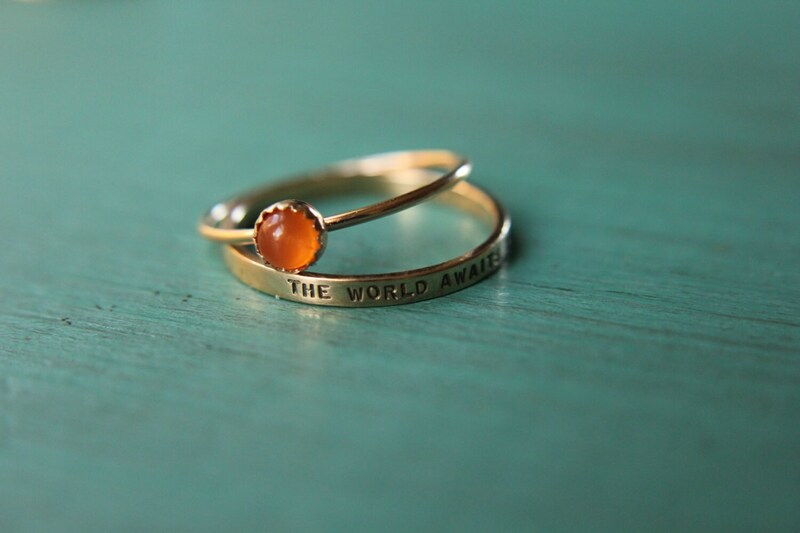 This ring is gorgeous, well made, and delicate. Shipped and packaged with care. I absolutely love it. My only small gripe is that the engraving looks like they are in different fonts. Not enough for me to lose my mind over. Nice ring. Fits perfectly and has a lovely shine. Would purchase again! Queen for a Day Ring in Sterling Silver. Feminine patterned band gemstone ring. Formal and fancy focal women's engagement ring.